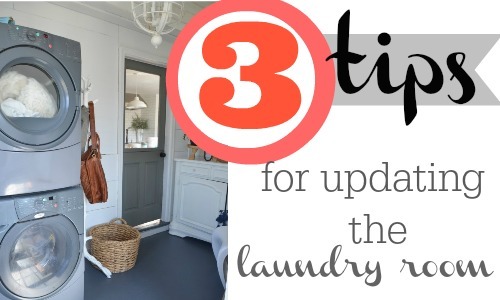 Continuing with our easy tips from The Nester to update up spaces this spring, now it’s on to the laundry room. 1. 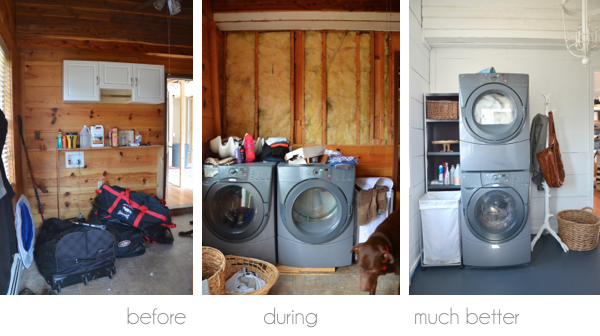 A surface: for folding clean laundry and getting laundry baskets up off the floor. In our last house we used an Ikea counter and cut it to size, you could paint a piece of MDF from the local home improvement store. 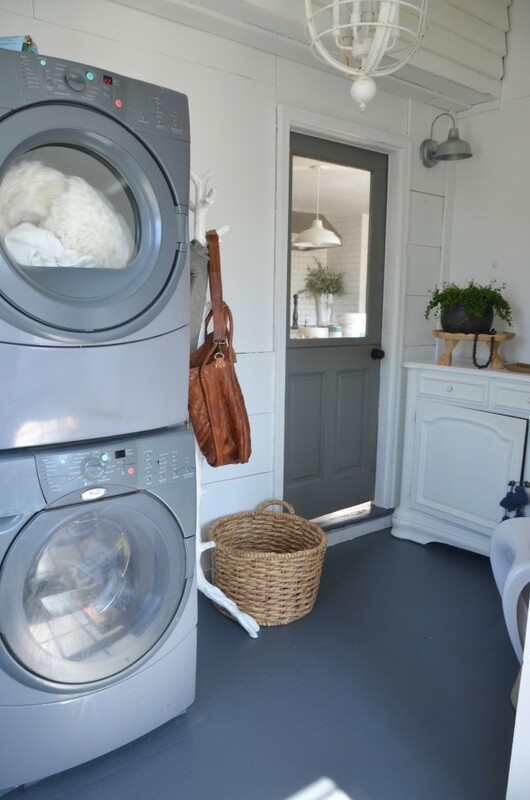 Just topping off the washer and dyer creates more extra space than you would imagine and no more socks falling down behind the washer! 2. 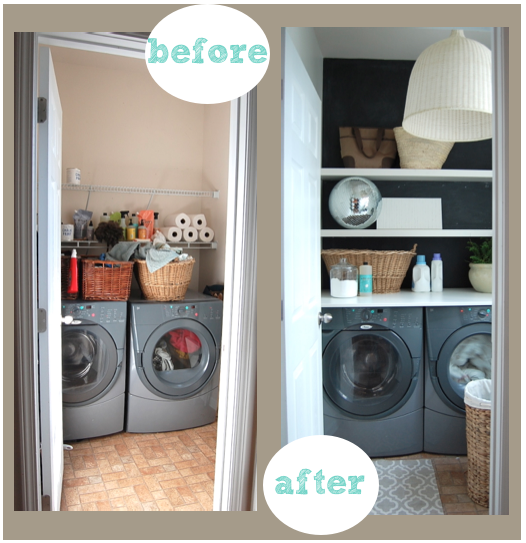 Storage: the laundry room is a very utilitarian room and even though I like mine to look pretty, it needs to work really hard for our family. 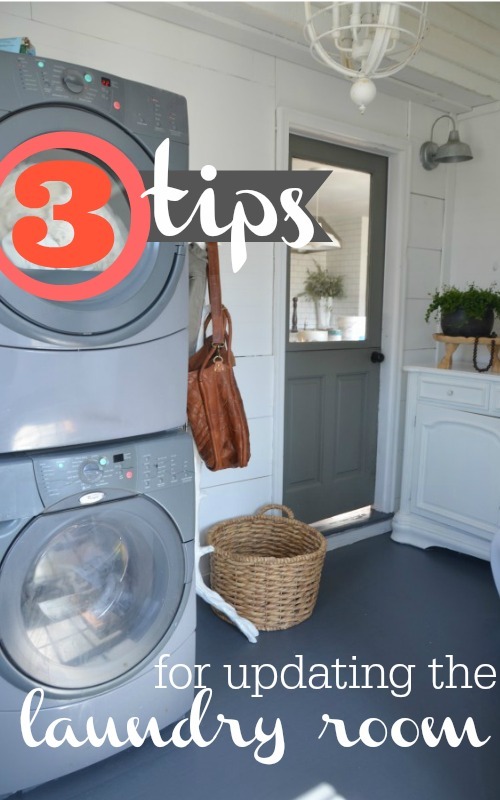 Make sure you have some type of storage: baskets, shelves, canvas bags hung on pegs, anything to help clear off your work surfaces will create a more calm feeling in the space. 3. Lighting: if your laundry room has a window, consider yourself highly blessed!!! I removed the blinds off our window so I could soak up as much natural light as possible–if you can’t remove them, raise them all the way up, it just makes the room feel happier. And the overhead lighting isn’t required to be florecent. In our laundry room, I replaced the florecent light with a fun basket light. In our current laundry room I have a $35 lantern light that I found second had–but it gives the whole room personality and I enjoy being in there. A win for everyone! Don’t forget to enter the giveaway to win one of The Nester’s books, The Nesting Place: It Doesn’t Have to Be Perfect to Be Beautiful. And check back in tomorrow to see tips on updating your kitchen. If you don’t see the form, enter the giveaway here.